Ohio’s newly elected Secretary of State (SOS) Frank LaRose sounds surprisingly reasonable and sane for a Republican. Unlike his recently departed predecessor Jon Husted, who now occupies the state’s Lieutenant Governor’s office, LaRose seems to understand the voter registration purge problem in Ohio. Or at least he’s giving lip service to it. Husted, notorious for removing minorities and the poor from the Buckeye State voter rolls, ended his tenure with a last great purge worthy of Stalin. Everyone who had not voted in the last four years was targeted for removal from Husted’s voting roll. Could you imagine if they told National Rifle Association loyalists that “You have to give up your gun – you haven’t used it in four years” or “You have to give up your concealed carry permit, because you haven’t carried your weapon in four years”? Husted could never explain why – in an era of computerized unlimited databases and in a state that requires an ID to vote – he had to de-register any voter because they failed to vote. 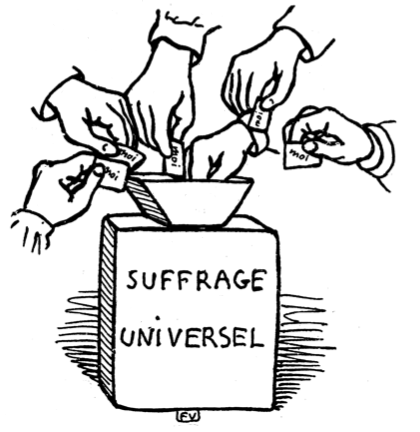 Isn’t it each person’s right to vote or not to vote? 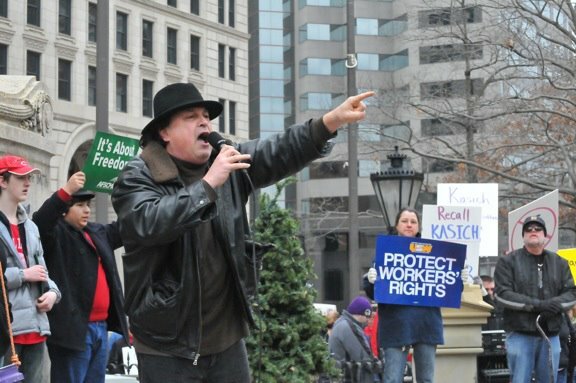 LaRose’s respect for the right to vote is refreshing and long overdue in the Buckeye State. The Free Press has obtained internal memos from the senior staff of the Ohio Secretary of State’s office confirming the installation of untested and uncertified election tabulation software. Yesterday, the Free Press reported that “experimental” software patches were installed on ES&S voting machines in 39 Ohio counties. (see Will “experimental” software patches affect the Ohio vote?). Election Counsel Brandi Laser Seske circulated a memo dated November 1st renewing the already shaky justification for installing software made by Election Systems and Solutions on vote tabulation equipment used in 39 Ohio counties. The letter to Ohio Secretary of State personnel Matt Masterson, Danielle Sellars, Myra Hawkins, Betsy Schuster, and Ohio’s Director of Elections Matthew Damschroder, clarified the dubious justification for not complying with the legal requirements for the examination of all election related equipment. 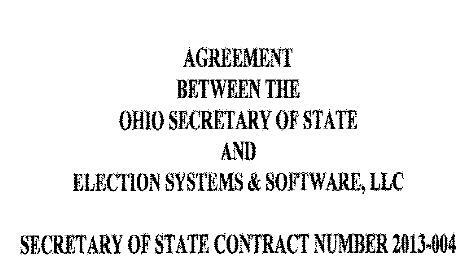 According to the contract between the Ohio Secretary of State’s office and ES&S, this last minute “experimental” software update will supposedly transmit custom election night reports to the Secretary of State’s office from the county boards of elections, bypassing the normal election night reporting methods. In order to justify this unusual parallel reporting method, Seske explains “It is not part of the certified Unity system, so it did not require federal testing.” This attempt to skirt federal and state law from one of the most partisan Secretary of State offices in the nation ignores basic facts of how modern information systems function. Seske continues “Because the software is not 1) involved in the tabulation or casting of ballots (or in communicating between systems involved in the tabulation or casting of ballots) or 2) a modification to a certified system, the BVME [Board of Voting Machine Examiners] was not required to review the software.” These claims are factually unsound. The software, although not communicating actual ballot information, facilitates communication between systems upon which votes are tabulated and stored. Although the software purports to not modify the tabulation system software, it is itself a modification to the whole tabulation system. This is why certification and testing is required in all cases. Just as in 2004, the Ohio Secretary of State’s office has enabled the possibility of a “man in the middle” attack. This software, functioning on a network through which votes are transmitted could act to intercept, alter or destroy votes from counties where it is not even installed, hence the “man in the middle” nickname. On September 19, the last minute contract between ES&S and the Ohio Secretary of State’s office was inked. Within a week, Seske wrote “He [Matt Masterson] has reviewed and approved the changes.” Masterson is the Deputy Director of Elections. After Masterson’s approval, Seske acted to bypass the Ohio Board of Voting Machine Examiners required review. “Pursuant to the board’s policy, each change will be approved unless three members of the BVME request a meeting to review a change within 15 days of today’s date. Given the proximately of the upcoming election, please let me know as soon as possible whether you will be requesting a meeting to review the changes,” wrote Seske. Government reports such as Ohio’s Everest study document that any single change to the system could corrupt the whole voting process. An unelected, partisan group of attorneys appears to have conspired to install election software without testing and certification that they are professionally unqualified to pass judgment upon. These types of last minute installations of software patches on voting machines are considered suspect by knowledgeable and experienced election protection attorneys, in light of all the voting machine irregularities exposed during the 2004 election in Ohio. Gerry Bello is the chief researcher at the Columbus Free Press. He holds a degree in computer security from Antioch College. Bob Fitrakis is the Editor of the Free Press. He holds Ph.D. in Political Science and a J.D. from the Moritz College of Law at Ohio State University.